Ease back and Let TD Audio guide thru the sounds of Chill Trap and Modern Hip Hop. TD Audio presents another smashing studio production tool kit produced by Style Da Kid. He has a combined total of 214 production credits, over 100 million Youtube views for his productions, works across multiple Genres. He is currently works on projects with Pacha Man, J Yolo, Trish, Vic Rippa and new artists such as the young Swedish future star Nicole Garz. This amazing sample collection is a monster tool kit for Urban Electronica producers that are in need a of tight set of well-produced modern audio to enhance their tracks or remixes. 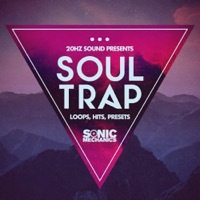 This full on sample collection offers a massive selection of Drum Loops, Top Loops Melody and Bass Loops across three Essential tempos. Each file is labeled and keyed up for drop and rock performance. All the samples in Style Da Kid's collection are 100% License Free and will work in any Daw. 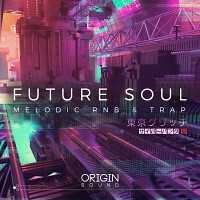 Chill Trap & Modern Hip Hop also features a sweet collection of Audio Fx and Drum Shots so you can rework or create patterns your way. This studio production pack includes Vocal Snips and Effects to customize loops and grooves. Style Da Kid created a wide range of experimental and up front beats for total creativity. This collection also includes NI Massive, Serum and Sylenth1 Presets as well as Midi Files to use and tweak out with all the great audio. If you want a high quality modern collection of audio and mid and presets to use in your modern Chill Trap and Hip Hop production work. Then TD Audio's newest collection is essential to your needs. +You need a Licensed Copy of Serum, Native instruments Massive and Sylenth 1 to use the presets Included in this pack. 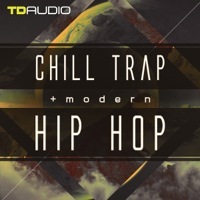 The Following End User License Agreement is included with TD Audio – Chill Trap & Modern Hip Hop. 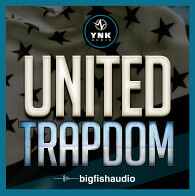 This License is only valid for the individual who has purchased an unopened, new and lawfully made copy of TD Audio – Chill Trap & Modern Hip Hop from a dealer or distributor authorized by Big Fish Audio.